This is mostly just information from the wonderful Gina Trapani and her article on How to Make Your Personal QR Code read it for a more thorough take on the entire subject and great comments. I am mostly just saving the links to the generators so I can find them in a hurry. I see QR codes everywhere and I wanted one of my own. 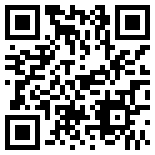 A QR (“quick response”) code is a square barcode that makes getting URLs, location coordinates, any text or contact information onto a phone quickly. With a barcode scanner app installed, you just point your phone’s camera at the code to read its contents. To find a scanner application, Google “QR Reader” and the model of your phone. There is a short review of them for an iPhone, the model I own, here at splitbrain. 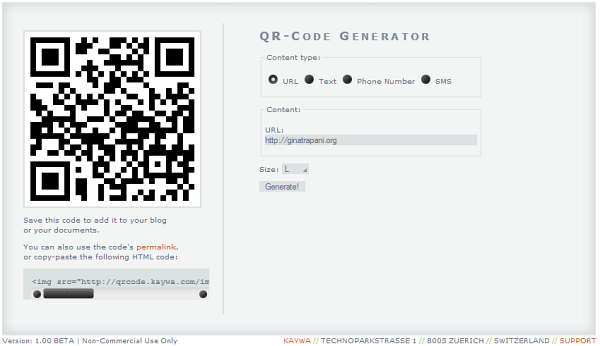 This QR code generator can embed a URL, text, a phone number, or an addressed and ready-to-send SMS message into a QR code. If you Google “QR code generator” you’ll find others, but beware of generators that force a redirect through their site when someone scans the resulting code and gets a URL.